Elena Miller explains how teaching basic obedience is beneficial to both humans and dogs! I have had a lifelong interest in working with animals. My family has been adopting animals since before I was born so I was lucky enough to grow up with dogs, cats, horses, frogs, newts, and turtles. Although I have always loved dogs, it had never occurred to me that I could build a successful career through dog training. I went to SUNY Albany and graduated with a BA in Broadcast Meteorology. After working in the TV News industry for several years, I was no longer happy with my job and knew I needed to make a change. My husband and I attended a training course with our rescue dogs and it completely changed our lives (and our dogs’ lives) in such a positive manner! I worked with our dogs daily and would get compliments on how well behaved they were; it was then I realized I could make my passion for training dogs into a successful career! The personal experiences I had with her own dogs helped motivate me to open Dogs Unleashed K9 Training. My goal with training is to help others open a line of communication and create a better relationship with their beloved four-legged family members. My research led me to the internationally renowned National K-9 Learning Center in Columbus, Ohio. While there, I became certified in eleven different areas of professional dog training including; basic obedience, advanced obedience, behavior modification, utility, breed identification, puppy development, tracking, scent detection, personal protection, police K-9, and retrieval. No two dogs are alike. Therefore, no two dogs can be trained identically. There is not just one single way to train a dog, which is why I use many different tools to find the technique that works best for you and your dog. Tools may include slip collars, prong collars, martingale collars, Remote collars, Transitional Leashes, and Halti’s. We will praise and reward your dog for making good decisions, but we will also be correcting bad behavior. Training your dog takes consistency, practice, and lots and lots of patience. Training is an ongoing process and should be incorporated into everyday life. This way, it becomes a lifestyle for your dog and he or she knows what is expected at all times. I believe there should be a balance between both physical and mental exercise. Physical exercise does not just mean a romp in the backyard. This means getting your dogs out for a structured walk, every single day! The more places you practice in, the easier it will be to bring your dog to different environments. Learning should be a fun experience for both you and your dog. It doesn’t matter what your goal is; it could be that you just want your dog to stop pulling on the leash when you go for a walk, or to stop jumping on people or things, or you want your dog to stop barking when they see other dogs or people. I believe every dog is trainable, and we will work together to find the best method for your dog! Every family should have the opportunity to have a well-behaved dog that is a pleasure to be with whether at home or in public. 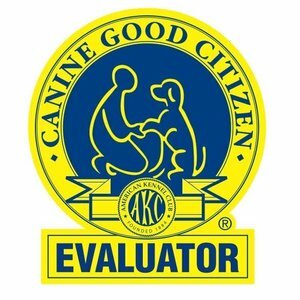 All training services are preceded by an evaluation so we can find the best solution for both you and your dog. Evaluations are $50, which can go towards any training package when you sign up. I offer training for all breeds and all ages. This program is designed to establish communication between you and your dog and to give you on and off-leash control. This is a great option for owners who are looking to improve their relationship with their pup, but are not dealing with any serious behavioral issues. During this program, your dog will stay at my home for 15 calendar days. Your dog will be fully immersed in a daily training routine. This includes creating new rules, boundaries, socialization (with dogs and people), pack hikes, and structured playtime. This allows your dog to develop a new foundation that will make it easier for you to continue the training once your dog returns home. A 2 hour go home lesson and 5 follow up lessons where you will be taught proper leash handling, correct use of each command, as well as how to maintain training. Treadmill Training and Swimming (weather permitting) is available upon request. Each dog receives a properly sized slip and prong collar, a standard leather leash, a 15-foot bio-thane leash, an e-collar and either a portable mutt mat or a cot for the place command. Dogs will also receive a complimentary bath at the end of their stay. This program is designed to establish communication between you and your dog and to give you on-leash control. This program is ideal if you have a puppy or adult dog that is mostly well behaved, but has problems pulling on the leash, barking, or just acting crazy on walks. During your dog’s stay we will teach them how to look up to you as a leader and to make more respectful decisions on the leash. In this program your dog will stay at my home for 7 calendar days. Your dog will be fully immersed in a daily training routine. This includes creating new rules, boundaries, socialization (with dogs and people), pack hikes, and playtime. This allows your dog to develop a new foundation that will make it easier for you to continue the training once your dog returns home. During your dogs stay, they will learn to respond to the following skills and commands (verbal and hand signals) on-leash. A 1 - 1.5 hour go home lesson and 2 follow up lessons where you will be taught proper leash handling, correct use of each command, as well as how to maintain training. Each dog receives a properly sized slip and prong collar, and a standard leather leash. Dogs will also receive a complimentary bath at the end of their stay. This on-leash program is intended to assist dogs and their owners with effective dog/owner communication, socialization therapy, and behavior modification. Your dog will participate in areas such as object socialization, people socialization, confidence building, and behavior modification. This is the only package I offer for dogs that have attacked or bitten humans or other animals, resource guards, or who show extreme fear or anxiety. It can take fearful or aggressive dogs several days or even weeks to build a trustful relationship with me to begin training and that can not be rushed. During this program, your dog will stay at my home for 4+ full weeks. Your dog will be fully immersed in a daily training routine. This includes creating new rules, boundaries, socialization (with dogs and people), pack hikes, and structured playtime. This allows your dog to develop a new foundation that will make it easier for you to continue the training once your dog returns home. In order for this training program to be successful, it is crucial for owners to work at home to change patterns and behaviors as instructed by me. Dog owners will receive instruction and counseling on how their behavior influences the behavior of their dog. Your willingness to incorporate behavior modification and obedience commands into everyday life is vital for success. During your dogs stay, he/she will learn to respond to the following skills and commands (verbal and hand signals) on-leash. This residency program includes 6 follow up lessons. The first lesson is scheduled during week 3 of the board and train program where you will be taught proper leash handling, correct use of each command, as well as how to maintain training. There is a 2 hour go home lesson and 4 follow up lessons where we continue to build your relationship. *Depending on the severity of the issues, your dog may need to stay for additional weeks. This will be determined either after the evaluation or early-on in the board and train process. Additional weeks are $975 per week. A closed Facebook Group for continuing support, training help and advice. Dogs Unleashed K9 Training offers structured daycare for dogs who have completed a residency program! Space is limited, so please call ahead to schedule! Dogs Unleashed K9 Training offers year-round boarding services for dogs who have completed a residency program! All boarding dogs will receive refresher lessons, daily pack walks, supervised socialization with other dogs, and playtime. You will have peace of mind knowing that your dog is happy, safe, and that we will continue to reinforce good behavior and their previous training! Private lessons provide one-on-one training designed to meet your dog’s personality, training aptitude, and your family’s goals. In each one hour lesson, I will teach you how to train your dog using obedience commands as well as how to handle unwanted behaviors. We may use a variety of tools including treats, martingale collars, prong collars, K9 Lifeline Transitional leashes, Halti’s, etc. The best tool will be decided early on in our first lesson. The tools are not included in the lesson price. In order for private lessons to be successful, you will be required to practice with your dog at home between lessons. A commitment of at least three ten minute “homework sessions” per day is necessary for this type of training approach to be effective. Consistency is key! Private lessons work best for owners that have the necessary time and patience to work closely with their dogs. Private lessons are also ideal for dogs whose personality types work better when they remain in their home environment versus a residency-training program. Private lessons allow you to train at a pace that is best for you and your dog. It also allows us to personalize lessons based on the dog’s needs. Group sessions do not allow for this flexibility and is more of a “one-size-fits-all” approach. Note: There is an additional travel charge of $25 per half hour over a 30 minute drive each way from Towaco, NJ. fill out the Contact form to get started! This option is for new puppies (up to 16 weeks) that do not have all their shots yet. During the 2 hour lesson/evaluation in one I will go over how to create a solid foundation as well as show you how to manage life with your new 4 legged family member! Get your puppy on the right track by filling out the contact form! What time of day is best to reach you? If you prefer to be contacted before 9 am or after 7 pm please specify a time in your message. Thank you for contacting me, I will get back with you shortly. I look forward to talking with you!